HMH Books for Young Readers, 9780618562985, 64pp. In the very near future you will find yourself dining on Snow Flurry at the famous Weatherbee’s Diner. Everyone will be there—Bob and Bossy Casey, Medusa’s sister Sally, both of the Appleton Twins, and Mr. Andy Mandolin singing “Biscuits in the Wind.” Remember him? You will also meet Angus, visit the silly Soggy Circus, and as soon as the moon is out (unless there’s an eclipse), you may even glimpse a Tiny Baby Sphinx! 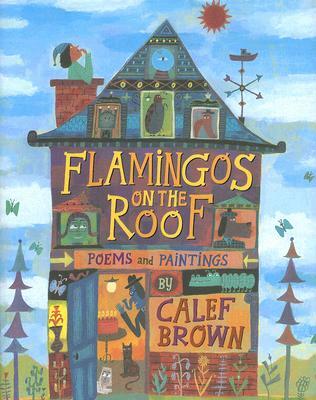 Until then, here’s what I recommend: listen for flamingos, write some haiku, then take a ride in a Barnacle Built for Two. Sound good to you?